Spotify's latest financial report paints a picture of how people are using the streaming service, with subscriptions far outstripping advertising income. 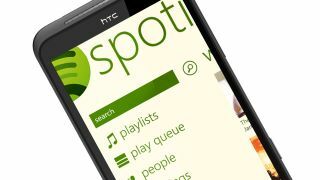 The report examines Spotify's balance sheet for 2011 and has only recently been made public. Most of the streaming service's income came from subscriptions in 2011, with subscription funds up from €52.6 million (£41.6 million, $66 million) in 2010 to €156.9 million (£123 million, $197 million) – that makes up around 83 per cent of Spotify's overall income for last year. Subscriptions buy users access to advert-free music, as well as cutting out usage caps; but the company is clearly struggling to sell advertising as its income from marketing messages is up only €6.5 million (£5 million, $8 million) compared to 2010. Given that the service as a whole grew over €100 million (£79 million, $125.6 million), that's astonishingly small fry – and of Spotify's 15 million active users, only four million are paying customers. That means that around 73 per cent of Spotify's users are bringing in only 17 per cent of its income. But we've always secretly suspected that the adverts were made intentionally tear-your-hair-out annoying to encourage users to upgrade to premium subscriptions, a plan that seems to be working, intentionally or not. Despite income shooting up to €187.8 million (£148.6 million, $236 million) altogether, the company made an overall loss of €45.4 million (£35.6 million, $56.5 million) because of the cost of its aggressive international expansion – Spotify has launched in the US, Australia and a number of European countries over the past eighteen months, with Canada apparently next on the list. But Spotify is playing the long game; with digital music increasingly proving to be the music industry's saving cash cow, to mix a few metaphors, no doubt its international plans and short-term cash outlays will pay off in the long run.